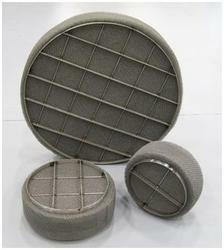 We manufacture a wide spectrum of Filter Pads that is available in varied micron rates and sizes. These filter pads are widely used in pharmaceutical industry and chemical industry. 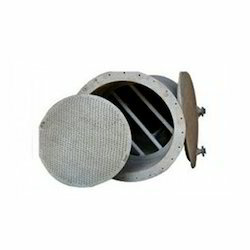 We have the ability to customize our range of filter pads as per the specification detailed by the clients. SANJAY ENTERPRISE Wire Mesh and Fiber Filter Pads, 10" and 18"
Application: For use as a pre filter in air conditioning, and spray booth extract systems. EN 779:2002 efficiency: G2 - G4. The varied necessities of our clientele in best possible way, we are occupied in providing an extensive range of Filter Pad. Dorsan Filtration, SL offers a wide range of filter sheets in the most popular formats in the market. Our technology is based on the depth filtration. This one, in contrast to surface filtration, provides the main feature with a large particles retention capacity. - Used for sparkler filter press, Standard and zero hold up. - Type: polypropylene material, non woven synthetic. We supply the Filter Pads for Sparkler Filter, Disc Filter and Process Filter in various shapes like round or square. Different type of material like Woven and Non-woven media, Paper or cellulose for different type of industry depending upon content percentage and micron size of the material.